There will be a smooth transition to this new technology, not a radical paradigm shift. When you click "Purchase", information is sent to your TNX One Touch mobile app through an encrypted Firebase channel. 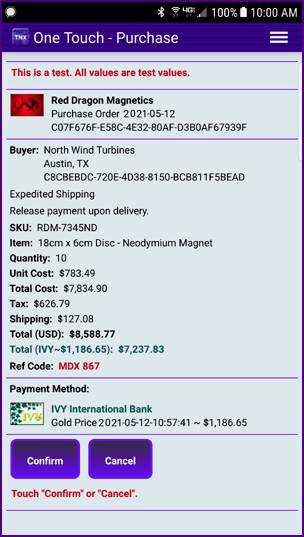 The purchase order is displayed. You select a payment method and then touch "Confirm". Click page 4 to continue.